This charming cottage can be found in the small village of Rescorla, just a few miles outside of the traditional market town of St Austell. This homely property, attached to the owner's home, is perfect for a family gathering or a group of couples or friends wanting to discover this charming area of South Cornwall. The property allows for plenty of space and privacy, with the bedrooms and bathrooms split between both floors. The ground floor houses a family bedroom with a double and single bed, along with a shower room, while the first floor contains two bedrooms with en-suites, one double and one twin. The sitting area and conservatory offer plenty of options for relaxation and socialising and the fitted kitchen contains all the fixtures and fittings you could possibly need. Outside, the enclosed rear garden is ideal for soaking up the sunshine and for enjoying a cool beverage at the end of a day's exploration. Yazumez is a wonderful base for exploring nearby attractions, including the Eden Project, just a five minute journey away. Venture slightly further afield and find The Lost Gardens of Heligan and Lanhydrock House & Gardens. 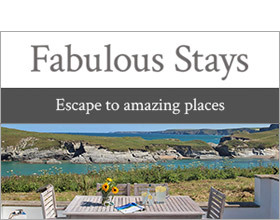 Not forgetting about the stunning beaches and coastline you are privvy to in this part of Cornwall. St Austell beach is a stunning sandy haven with tranquil waters, perfect for whiling away an afternoon amidst stunning scenery. This terrific St Austell cottage makes for a fascinating and adventure-filled South Cornwall getaway all-year-round. Three bedrooms: 1 x double with en-suite shower, basin and WC, 1 x twin with en-suite shower, basin and WC, 1 x ground floor family room with 1 double and 1 single. Ground floor shower room with walk-in shower, basin and WC. Kitchen. Sitting room. Conservatory with dining area.